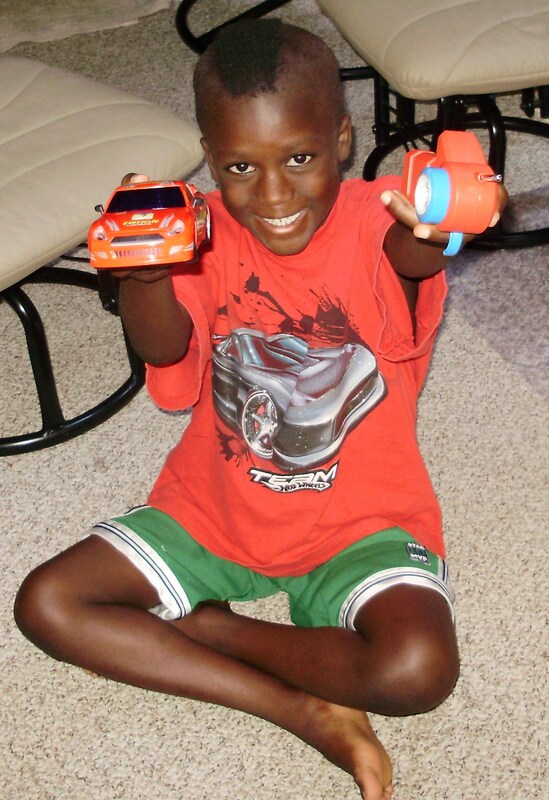 Armon with his remote car! He earned it by learning to read! Today was our last day of Grandma’s School, as of this summer. I read a story to him. Armon wrote a thank you note to Lieutentant Cousin Roger Bebeau, for the great tour of the fire station last week. I’ll mail it today. 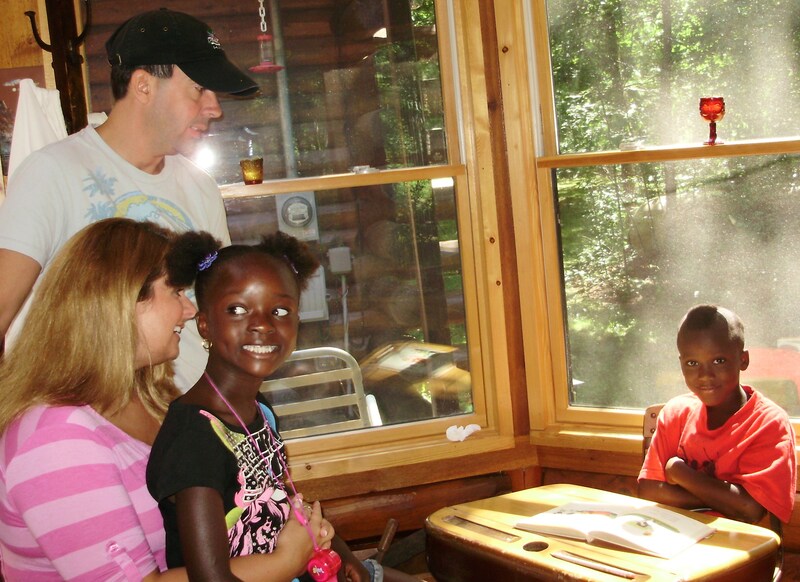 Then we invited Mama and Papa and Elmise to come over so he could read a story to them from the reader. He did it!!! He earned the remote car! I’m afraid I got the pictures in backward again. But it was a big day. They’ll be leaving early Friday morning to take Tyler to Texas to the University. When they return Armon will be in first grade! It’s been quite a summer but I’d do it again in a blink of an eye! Armon is ready to read to his family! This entry was posted in Grandma's School. Bookmark the permalink. Hurrah for Armon (and Grandma)!